Chanel Brand has been created in 1910 by Gabrielle Chanel aka Coco Chanel. She has started her impressive empire by offering hats. Known at this time as “Chanel Mode” the brand became quickly a reference for French actresses (Gabrielle Dorziat, Sarah Bernhardt…). The first store, located at 21 rue Cambon in Paris, has become a home for Coco’s simple but elegant pieces. Starting in 1913, new stores in Place Vendome, Deauville or Biarritz have been opened. At this period, Coco has also started to design clothes and sell them to her wealthy customers. Chanel empire has almost collapsed during the WWII but the designer took back her throne and the powerhouse still operates successfully today. Born in 1883 at Saumur (French countryside) she has decided to move to Paris (1908) in order to become a singer. She represented herself on scene in “café-concert” nicknamed “Coco” in reference to her favorite French song: “Qui qu’a vue Coco” (“Who have seen Coco”). The music-hall career was short and Coco stayed focused on creating fashion. After one show, she met Etienne Balsan, quit the music-hall and started designing hats. The two fell in love and Etienne has opened new door to Coco, by introducing her to the high-society. Coco Chanel with her work has created a new woman, the Chanel Woman. Free, modern and sportive by creating outfits allowing women live their life in full by wearing trousers to horse-riding first, and later popularizing them to everyday fashion, making skirts shorter and introducing new, more flexible fabrics. She created the boyish style by mixing trousers and cardigan, being inspired by the historical military context. She liberated women with comfortable and lightweight clothes, in her unique way she participated in the right-seeking feminist movement. Coco was like a breath of modernity at this time. Her black and white collections were influenced by her childhood: she has been abandoned by her father at the age of 12, after her mum death. In 1921, Coco Chanel met Russian perfumer Ernest Beaux. Few months after, he presented Coco with ten samples of fragrances. She has chosen the fifth sample (“Rose de Mai” and “Jasmin de Grasse”) and named her first perfume Chanel N°5. 30 years later, the unexpected publicity came from Marilyn Monroe who declared in one of the interviews that to sleep she only wears a few drops of N°5. 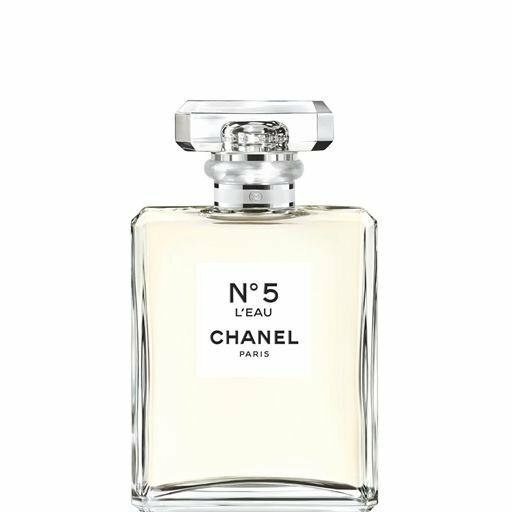 Chanel N°5 is still the best-selling perfume in the world. During the World War II Coco Chanel has decided to close her stores after her patriotic collection (Blue, White and Red as the French flag) and moved to Switzerland. 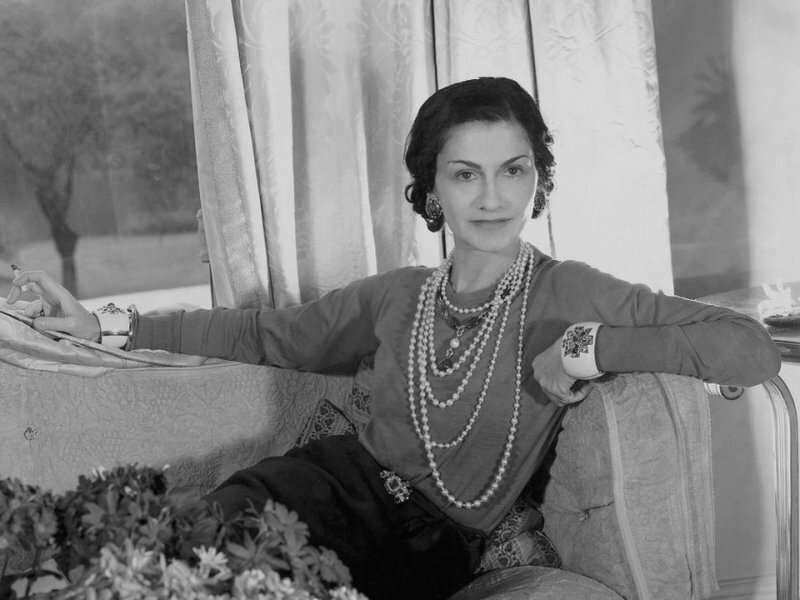 At the end of the War, Coco Chanel faced a challenge to restore her notoriety. Competitors were already well installed on the French market and Christian Dior has come up as a new leader of the fashion scene. Faithful to the Chanel spirit, simply and elegant, Coco Chanel returned with success in the field of haute couture. She has been rewarded with a fashion Oscar in 1957. She also introduced a product from the Chanel House – the 2.55 bag. It was an updated design from the 20s, that became iconic and recognizable as Chanel’s signature all over the world. Coco became the fashion designer the most influent on the 20th century. What Coco brought to the fashion first? 1/ Little black dress, dated first in 1926, has revolutionized the silhouette and the colour rules, by bringing black to the status of elegance. 2/ Coco began designing trousers for women mainly to help them while doing sports, but later she democratized them and brought into her elegant designs. 3/ Responding to the busier and busier lifestyle of her customers, Coco introduced jersey to her designs, making the fashion world shocked as this fabric was traditionally used for men’s underwear. 4/ As casual daywear was so close to Coco’s heart, she popularized the use of faux jewelry and fake pearls. Since 1983, 10 years after Coco Chanel death Karl Lagerfeld take the head of the Empire. Karl writes a new chapter of the Chanel history. He brings forward his unique style respecting Coco’s roots and universe. Karl Lagerfeld’s design of the Chanel Watch joined the list of Chanel iconic designs, after the black dress and the N°5 perfume. “Fashion fades, only style remains”.